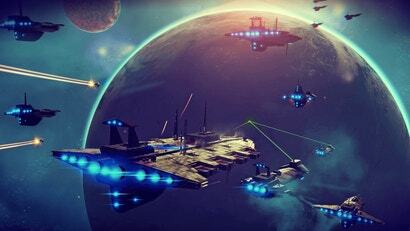 Downloadable-only games have exploded in popularity in the last few years. Gone are the days when retail was the be-all, end-all of video games. Now, some of the coolest, most inventive games are just a few clicks away from being able to play. Still, I can't help but feel like the grass is greener on the other side of the generational fence. I miss last generation's digital games something fierce. One of my favourite games this year is House of the Dying Sun, a space combat game by ex-Bungie developer Mike Tipul. Another one is the challenging but oh-so-satisfying Hyper Light Drifter. Games like Darkest Dungeon have blown my mind, and I can't wait to get my hands on the effortlessly charming Cuphead. I just picked up The Final Station, which is a post-apocalyptic game about trains. But here's the thing: There was a certain quality about last-gen's games that I feel got lost somewhere along the line. I've been struggling to put it into words for a while, but I think I've finally got it all figured out: Last-gen's downloadable-only games often felt like bite-sized versions of larger experiences. When I buy an indie game now, I'm often treated to something that works very hard to be endless; most indie games I've played are all about having roguelike elements — that is, everything changes when you die. Last-gen, downloadable-only games tended to rely on other elements for replayability, creating an experience that was contained but worth returning to. Take Alan Wake's American Nightmare, for instance. It was a sort of miniature sequel to Alan Wake. You, as the titular character, find yourself in the American Southwest experiencing a Groundhog Day scenario. The map itself is about the size of a single level from Alan Wake, but it's more open. American Nightmare was a blast to play; it felt like a bigger, meatier game than it was, but that's what made it so satisfying. It trimmed the fat. For players who wanted even more, American Nightmare offered a survival mode with a bunch of unlockable maps. For $20, American Nightmare felt like a steal, not because it offered endless gameplay, but because it felt limited while still offering a great bang for the player's buck. One of the big problems I have with the Far Cry games lately is that there's so much to do, but very little of it is actually meaningful. Far Cry 3: Blood Dragon had no such problems; it recycled lots of stuff from Far Cry 3, but recontextualised all of it, didn't take itself so seriously and, most importantly of all, trimmed a lot of the meaningless, repetitive content from its larger sibling. What we got was still a big game, but it was leaner and more efficient. I had more fun playing six hours of Blood Dragon than I ever did with my 35 hours of Far Cry 3. Infamous: Festival of Blood is set in Infamous 2's large, open world, but once again, it is much more focused than the main game, and the new player abilities are fantastic. Dead Rising: Case Zero and Dead Rising: Case West were both smaller versions of the Dead Rising sandbox. Each one found interesting ways to take the basic ideas from their AAA brethren, trim the fat and still feel significant enough to warrant my attention. Not all digitally downloadable games were derived from AAA experiences; Monaco was a great little top-down spy game. Orcs Must Die is one of my favourite games ever, and it derives its significant replayability from unlocks and leaderboards. Defence Grid is possibly the greatest tower defence game ever made, and its replayability comes from a similar approach. Some of the games stretched their content in interesting ways. Others provided reasons to return to the same content over and over again. 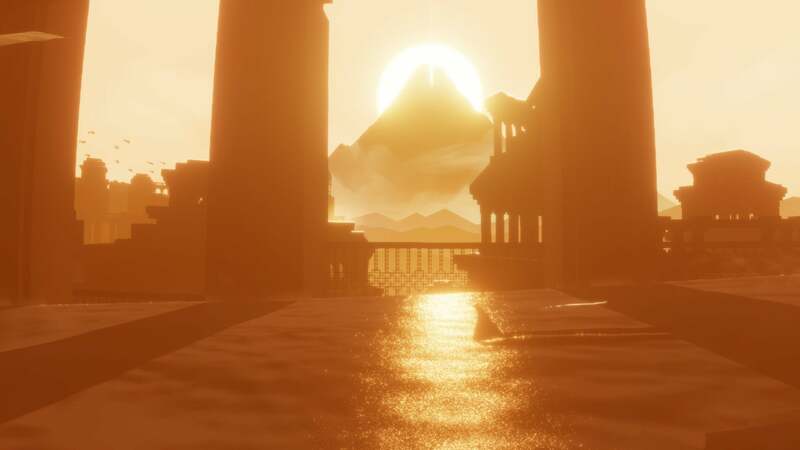 What makes Journey interesting is that there's little incentive to replay in a traditional sense; there are no leaderboards, no alternate routes to take, but Journey itself feels complete. It feels like one coherent experience. The $20 price tag was worth it. 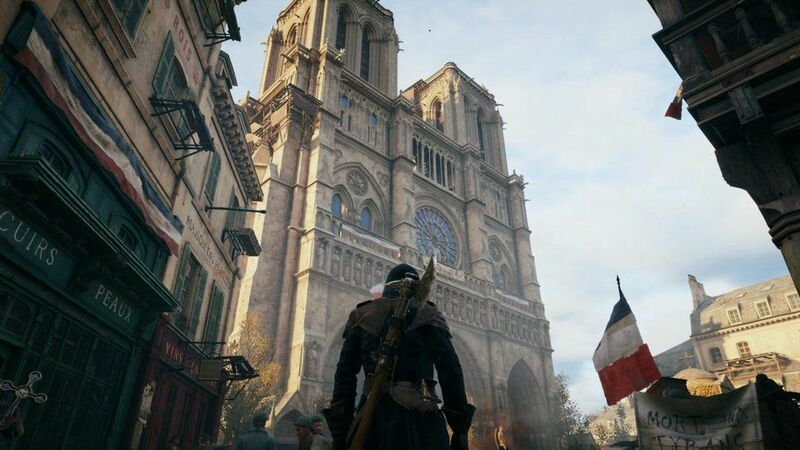 Now, I feel like many downloadable games are trying to be just as big as AAA games, and that's awesome, in many cases, but I think last gen's indie games often felt bigger, sometimes thanks to the production value inherent in their recycled assets, and other times through what felt like more thoughtful approaches to the way they used content. The Dead Rising cases created replayability by having intricate sandboxes that worked independent of the player; new things could be discovered on subsequent playthroughs. But more importantly, last-gen's downloadable-only almost always felt like complete, focused experiences, something that I feel has been harder and harder to come by, largely thanks to the increasing emphasis on procedural generation or significantly increased scope. Gone, it seems, are the days of a game that only took a few hours to play, but provided plenty of reasons to return while having that perfect $20 price tag. But hey, maybe that's just me. What do you think? N+ is as good as the original Flash game. Rogue Legacy. Played many, many hours in that game. Armello and Shadow of the Beast are pretty good examples. Armello has a number of different victory conditions and characters to play as, whereas Shadow of the Beast has secrets to uncover and different difficulties or abilities to try. Everybody's Gone to the Rapture was a pretty good self-contained game, where you really decided for yourself how much you would explore and how much of the story you wanted to uncover. I'll get in the cannon. Oh, I don't hate you. I didn't hate it, but I don't get the love. It was fine... I actually preferred the Unfinished Swan which I got at the same time. We're not angry with you... we're not even disappointed with you. We're disappointed with ourselves... for believing in you. That one was a little much. My family practices a parenting philosophy that could best be described as scorched earth. I don't really feel the downloadable games have much to do with it if I'm honest. Game design as a whole has largely shifted toward incomplete games. Indie games as you said have mostly gone the roguelike or survival elements route, often lacking much else. AAA games are, for the most part, horrendously incomplete and/or outright broken messes that rely on DLC and patches to get them to where they ought to have been at launch. Strangely some of the most complete, polished games I've played recently have been early access betas that aren't due to be out for at least a year. It is pretty cool to revisit old games, I'm not a fan of buying the same game twice though! I would love a console that could play any old discs (ps1, ps2, xbox 360)! Agreed, it's hard to find worthwhile smaller games now on xbox live. My pick goes to Bastion. A complete experience with tons of replayability.